Founded by Wendy Stirling in 2004, Botanicals was one of the first UK companies to produce 100% natural and organic skincare products, all of which are certified by the Soil Association. Based in rural Leicestershire, Botanicals researches, formulates and hand makes a full range of products for face and body using the pure power of plants to promote health, beauty and wellbeing for both people and the environment. They are still made in small batches to preserve the active properties of the botanicals used and to ensure the vital life-force of the plant is not destroyed by heating or over-processing. All Botanicals products are developed using strict performance and ethical standards, offering ecological products derived solely from sustainable natural resources, free from artificial colours, fragrance and petrochemicals, including parabens. Botanicals products also smell divine, are aesthetically pleasing to use and produce clearly visible improvements in the look and feel of the skin. Botanicals is also listed in the Naturewatch Foundation Compassionate Shopping Guide and it comes with the guarantee that their products have not been tested on animals. To help celebrate The Soil Association’s Organic September this month, Wendy Stirling has teamed up with Naturewatch Foundation to provide our supporters with an exclusive offer. 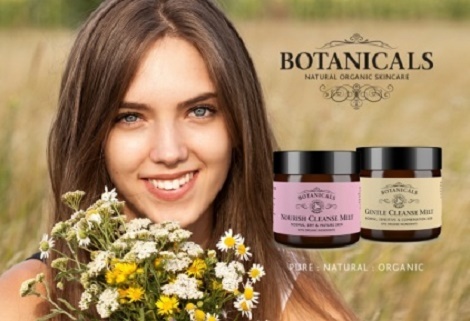 Visit the Botanicals website and use code NWF10 on checkout to receive a special 10% discount on all orders. This amazing offer runs across the entire Botanicals range, from face, hand, foot and body care products to cold-pressed oils, essential oils, massage oils and hydrating mists. There is no minimum order and runs from 1st to 30th September 2016 inclusive.